Fun Fake News: Philosopher General Commits Suicide at...the Hague? Philosopher General Commits Suicide at...the Hague? Former Bosnian Croat general (and former philosophy teacher) Slobodan Praljak drinks poison at the Hague. 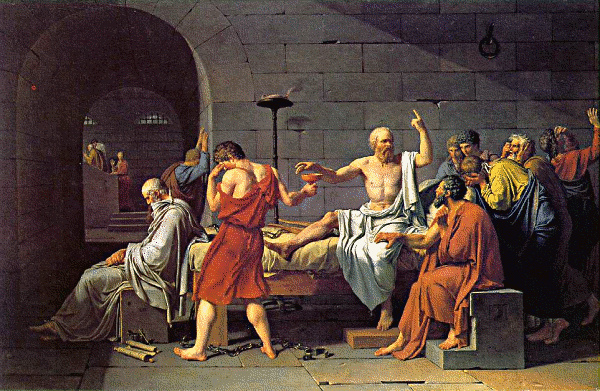 Socrates drank hemlock as depicted in this painting by Jacques-Louis David entitled La Mort de Socrate (The Death of Socrates).